The Tim Hall School of Golf provides golf coaching for all abilities. With energy and dedication, we lead forward-thinking instruction that works to strengthen continuous improvement. We apply the latest concepts in a simple and understanding manner. Let our team embrace your challenge and help you create your own learning model. 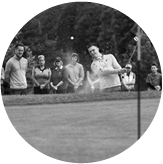 Our PGA professionals specialise in different areas, working with all levels of golfers, going above and beyond to improve performance. We take a holistic approach to our instruction, offering comprehensive training plans for lasting improvement. We follow a four-step learning process that helps us to measure and strengthen your game, to gain continuous improvement. We use the industry's leading technologies to help assist our understanding of your swing movements to improve performance. 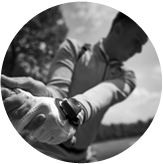 Our highly trained fitters offer a unique custom fitting experience in our state of the art Performance Lab. We offer a range of club repairs, from re-gripping to full trolley repair services to improve your performance. We offer three stages of learning, designed to create a smooth learning pathway to a lifetime in the game.